Once a year, the Canadian Museum of Nature opens its Natural Heritage Campus to the public for a day, offering a rare glimpse at the work that goes on behind the scenes at a museum. Located in Gatineau, Que., the facility covers an area the size of five regulation ice hockey rinks and houses some 14 million specimens and historic artifacts, including fossils, minerals, insects, plants, and even artworks and rare books, as well as several research labs. 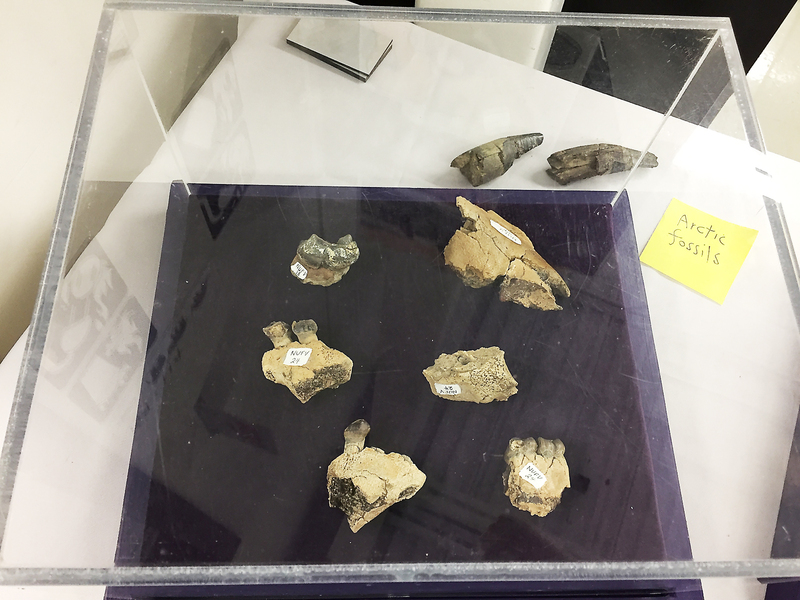 The annual open house is a way to broaden the public’s understanding of what a national museum does, explains Dan Smythe, senior media relations officer for the Museum of Nature. Canadian Geographic got a sneak peek at this year’s open house, which takes place Saturday, Oct. 15, and challenged several curators and research scientists to share their favourite specimen from among the museum’s vast collections. "I love fossils from the Arctic, because they tell such a rich and fabulous story. This rubble is from one of my favourite mammals, Coryphodon, a hippo-like mammal that lived 53 million years ago all over the world, including in our Canadian Arctic when it was warm and tropical. It’s kind of sad; Coryphodon had the smallest body to brain ratio of any mammal that’s ever existed. It weighed 500 kilograms and its brain was 90 grams — that’s like a couple of chunks of cheese put together." "The moon rock is a pretty neat story. It’s called the Goodwill Rock because it’s from the Apollo 17 mission and they gave a piece of it to every country in the world. 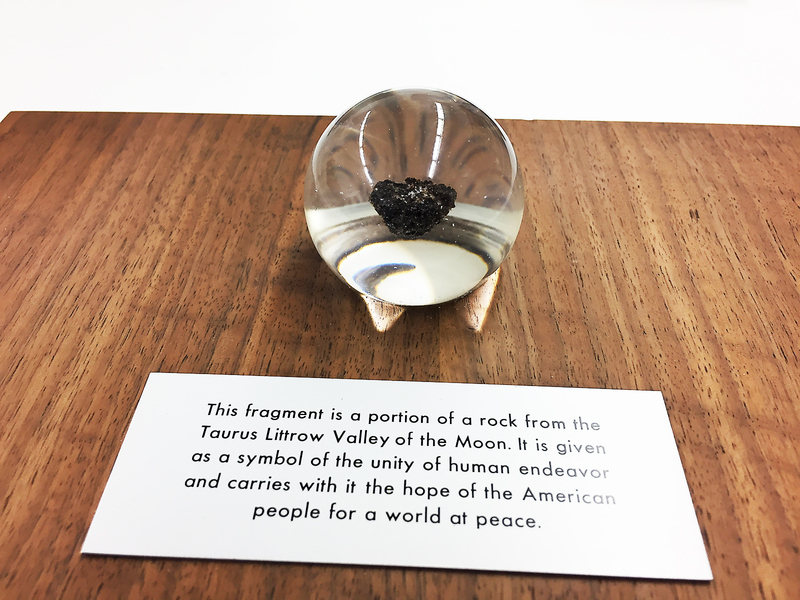 Just having a piece of the moon is super cool and the kids really like it." 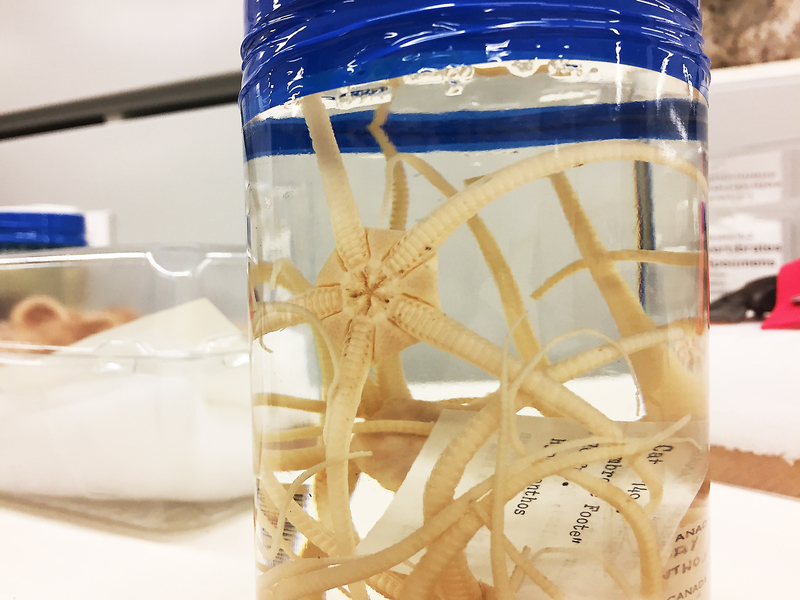 "Some of our specimens are very old; the oldest specimens in the collection are from the 1700s, so you can see that they last a really long time. 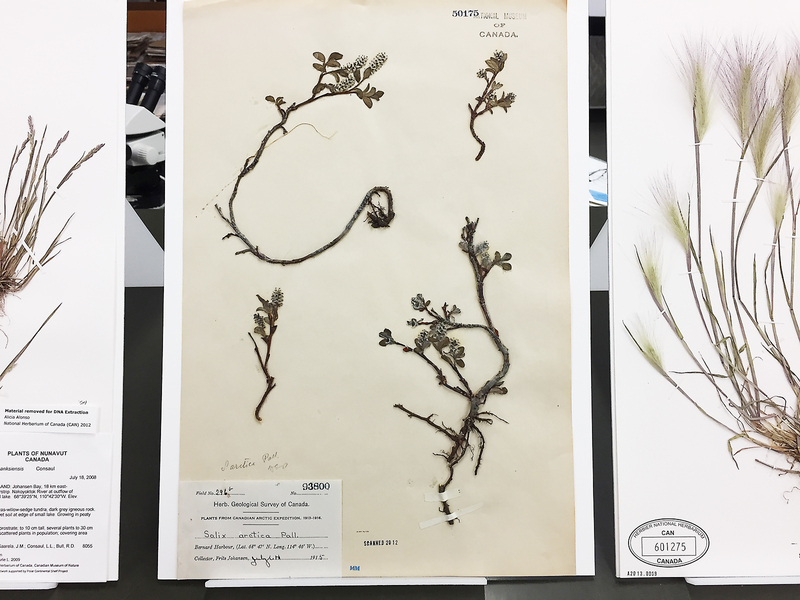 This specimen in particular (below, centre) was collected on the Canadian Arctic Expedition, which was conducted 100 years ago, and our researchers continue to travel to the Arctic every year or every other year to add to that growing record of how things are changing." "This year we decided to highlight the fact that Canada has the longest shoreline in the world and focus on marine invertebrates, so we’ve divided our displays into the three coastlines. The idea is to contrast the species found on all three of our coasts but also show the similarities between them. I don’t have a favourite; I think they’re all really cool, and we selected the specimens because we thought they were interesting in and of themselves. We hope people will pause long enough for us to tell them about their natural history so they don’t just go, ‘Ooh, what’s that blob?’ and walk away." 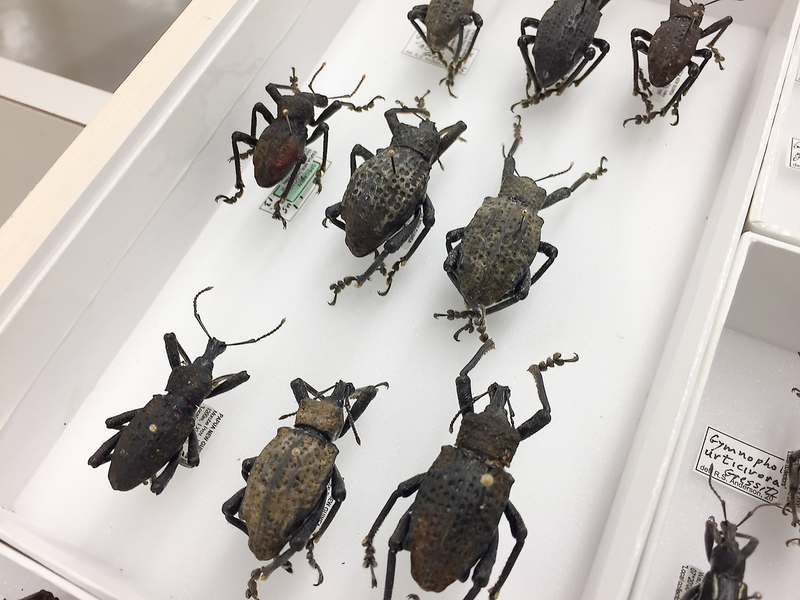 "These beetles are from Papua New Guinea. Their backs are really rough and pitted, and mosses and lichens and all sorts of other little animals live in those holes on the beetle’s back. They live in forests that are so wet, they’re constantly drenched in mist, so these communities develop on the backs of these beetles, which I think is really fascinating. It’s like a micro ecosystem."